Powerful degreasing agents remove grease and grime. Non - tainting and food safe, does not require rinsing. Pass EN1276. Proven to kill MRSA and E.coli. 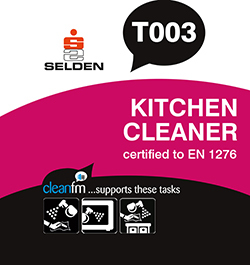 For latest test results consult the Selden website.